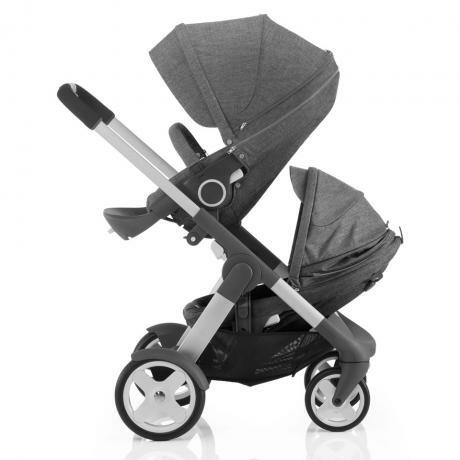 What are the Best Double Strollers of 2014??? Which Double Stroller is Best for Your Family? You Lucky Moms and Dads You! In today’s world of strollers, we’ve got lighter, smaller, compactible, high quality and easy to maneuver double strollers that have me itching to have baby number 3. You want a fashion trendy buggy, well, hop on board (pun intended, will explain later) because there are an amplitude of choices that make your increased breastfeeding boobies seem you should still be in a training bra. I’ve got multi-functional, budget friendly, fashion friendly coming at you in all directions after these messages. Which Type of Double Stroller Do You Need? Side-by-Side or more commonly known as the Twin Stroller are obviously two seats next to each other. Unlike days of old, these will fit down grocery store aisles, the sidewalk, and while shopping. Most well-made side-by-side strollers account for these inconveniences of the past and are much narrower, very few offer double car seat capacity however. The same room is offered to each child, so no favoritism is going on here, The babies can talk to each other easily and parents can easily get to them. My faves are the Joovy Scooter X2 Double and the Bugaboo Donkey. The Joovy weighs under 30 pounds, it’s easy to fold, steer and maneuver (all wheel suspension baby) *my must haves*, fully recline for babies, the handlebar isn’t adjustable, that’s ok (I’m a midget), large storage basket underneath (I like to shop), and it’s available in three colors. The only drawback is that the seats need to be reclined before folding the stroller up. The Bugaboo Donkey with just three simple clicks, converts from a full-sized mono to a full-sized duo stroller. And back again. Flexible luggage options, why yes please, there’s plenty of room for your stuff too. If you have an older child, generally speaking two years older than the baby you have or that you’re expecting, then the sit and stand stroller is for you. An older child hates being put into anything. They are becoming more and more independent and this allows them to get in and out easily when they want to. It allows them to sit or stand as well. Sit and stands are easier to maneuver, compact, smaller and easy to store. This is a stroller and a half if you think about it. My favorite is the Joovy Caboose Ultralight hands down. There is not another sit and stand stroller that I can or will recommend. It has a supersized sun canopy to shade me and my child, high quality materials and design mean I can have this for years, and it accommodates most car seat brands for convenience. Oh yeah, it also has 7 different color schemes including my fave Purpleness not pictured. A tandem double baby stroller has two seats, one behind the other. Very similar to the Sit and Stand, but with a seat. Often times in these the child in back cannot see the front seat. A lot of people like the rear seat sitting higher than the front, and truthfully, that always worries me. The back reclines all the way, the front generally doesn’t. This stroller is best suited for an infant and a toddler. Toddler in the front and the infant sits or lies in the back seat. Tandems are great for twins since they generally take two infant car seats. A tandem is obviously narrower, easier to maneuver until you’ve gotta turn. Then you experience what all the weight in the front of a stroller, not even distributed does to your body. Come on Hercules, you can do it! But, hey your children are in a single file line with you, so that’s a plus right? Start ’em early I say. iCandy Peach Blossom how I love you and all your British luxury-seeking glamour. Now there are only three color schemes, but Black Jack keeps me and my husband happy. 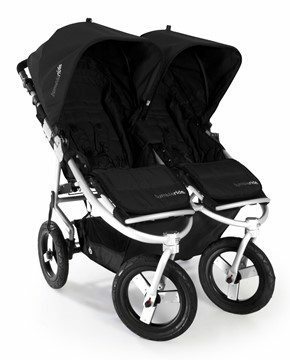 J This tandem double stroller is suitable for different aged children or twins. Super easy to fold, under 20 pounds, generous shopping, I mean, storage basket, Bassinet holds your babies until they are six months old, toddler seats hold them until they are 3 years old. The main seats recline fully so you can use these with newborns. The iCandy is no longer sold in the US and only offers service in the UK. This is the only tandem I’ve ever owned and I loved it personally. However, I’m not a huge fan of tandems. Some more are listed below for your convenience. Another option is the Stokke Crusi. Easy to use, set up, and fold. High seating position. Seat can face either direction. However, this is expensive and the fixed seat at the high point with no option to lower it bothers me. Another option if you only want to partially break your bank account is the Baby Jogger City Select which is also known as a convertible stroller since it grows with your child(ren). This sucker is the mix-and-match guru. 16 different combinations of seating. Since this is a gorgeous single seating stroller, it’s perfect if you’re planning to have more children. These are known as sport utility strollers, sounds like an SUV, well, it is an SUV of strollers. Say you like hiking or long walks, but jogging isn’t your thing. Say you love jogging and sometimes jog in different type of terrain, this is for you. 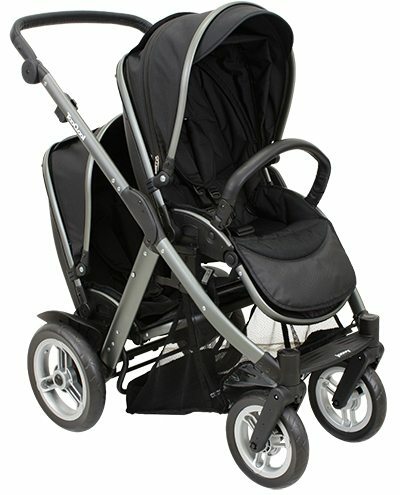 All-Terrain double strollers have three wheels, the front wheel swivels, and has the option to lock straight for better stability over different types of terrain, especially while jogging. It is NOT RECOMMENDED that you jog when using any all-terrain stroller as a travel system. That is because of the accommodation for an infant car seat with an adapter accessory. However, most of these only accommodate one infant car seat, so, not a great idea for twins until they are older. My fave is the Bob Revolution SE Duallie. It’s versatile, durable, excellent quality, and has the smoothest ride. The only downfall on this magnificent stroller are the expensive add-ons. Adjustable shocks, hello, score! I know you’re all thinking and wondering how I am recommending this stroller when they had recalls in 2011, but they have been redesigned and are amazing. Another great option is the Bumbleride Indie Twin. It’s hard to beat the function, quality and allotment of colors to choose from that the Bumbleride offers. 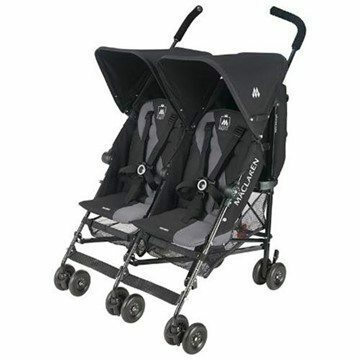 This is great for twins because it does accommodate two infant car seats or carrycots. Everything can be customized to fit your children’s needs. The sun canopies, safety harnesses, leg rests and multi-position reclining seats give every child a comfy ride. Going down that aisle at the grocery store and walking on the sidewalk is a piece of cake because it’s only 29 inches across. It goes well over everything from sand, gravel to grass. It’s also my BFFs fave double stroller. These are made for serious joggers in mind. Larger wheels allow for a much smoother ride and these can take a lot of rough handling. If you’re part of an active family, this is the stroller for you. The wheels are bicycle-style racing wheels and are sturdy so, they are great for rough terrains and uneven surfaces too. But, the problem is that with a fixed front wheel jogging strollers aren’t designed for maneuverability. They have all-wheel or rear suspension systems which is perfect for maneuvering on smooth or uneven roads. They come equipped with hand brakes and are super safe. The City Mini GT Double Stroller and Joovy CocoonX2 Double Stroller all have high reviews from friends. They rave about the safety features, performance, etc., and tell me how great they are. I’ll let you try and test these out for yourselves. Curved double handles exist on what again? Oh yeah, that’s right, umbrellas. There you have it. Umbrellas fold quickly, easily and compactly too. Just like umbrella strollers. They’re light, small, and super simple to use. Weighing less than 20 pounds they are guaranteed to LACK certain features like sunshades and shopping, I mean, storage baskets. However, if you’re a jet-setting parent, you’ll find this your go-to stroller. You won’t find an easier gate check item than this. You really shouldn’t use many umbrella strollers until your child is at least six months of age. They don’t generally recline flat and because of this are not suitable for babies. My fave umbrella stroller is the Maclaren and yes, I know all too well, that once upon a time they got a bad rap. However, the Maclaren Twin Triumph is revamped and amazing. Weighs 22 pounds and can carry 5 times that much combined weight. It has four-position reclining seats, individual sun canopies, storage basket beneath the seats, although I never recommend you hanging bags off the handles, the one is well-balanced and not AS dangerous as others. STILL NOT RECOMMENDING this people. These are my FAVE double strollers and the reasons why each one of them work for me and my family. However, when I post my best strollers for 2014 that aren’t double strollers we will get into some other brand names that you may or may not have heard about. Expect to see Nuna, Quinny, Mima, Stokke, Peg Perego, UPPAbaby and more. Yes, some of these have double strollers, but they’re not my faves. Also, I’m a firm believer that everyone has a different opinion and reason as to why one stroller is best for them and not someone else. It varies for each stroller. This post is from 2014 so, I’ll be updating soon and I’ll make sure to include those in my post. Pingback: The Evolution of Baby Strollers Will Make You Appreciate Every Mom In History. Great article, another +1 for the Bob Duallie but for the Flex. The added adjustable handlebar works really well for our family. The BOB Revolution Duallie stroller is a great choice for active families with two small children. The durable frame, smooth suspension, padded seating and harnesses, and rugged wheels make this a great double buggy to push wherever you go. It’s also perfect for running and jogging. Bob revolution double swivel stroller is #1 baby double stroller in us! Should be on here. I have 6 month old twins and was huge fan of my city mini with my 5 year old, but my kids are super tall in the body and she gee out of it pretty quickly. Im looking at the City mini double, the joovy scooter and the britax agile…. any suggestions for super tall kids out of those three? Is there such a thing as a crossover stroller? I love the large pneumatic tires on jogging strollers but I do NOT love the usually just-a-little-lacking storage spaces. There are numerous potholes in the sidewalks around my town and the little plastic wheels (such as those on my umbrella stroller) just can’t hack it. There’s also those little adventures to the local parks, zoos and other activities that throw varieties of terrains at us. I adore every feature of the Joovy Scooter X2 you mentioned, except the wheels. I have a 4 year old and a 1 year old. My 4 year old usually prefers walking but once her batteries run low on all-day trips, she wants to ride in the stroller, so I’m still leaning towards the doubles. I’ve considered singles, but then we run into jealousy issues. First, thank you for reading my blog. 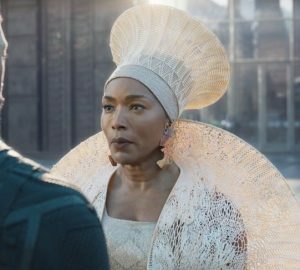 🙂 Secondly, I’m not familiar with any legit crossovers. And lastly, to answer your question to the best of my abilities, I think you are mainly concerned about the wheels… You want something sturdier than an umbrella stroller, but not nearly as bulky and crazy as a jogging stroller. The NEW Joovy ScooterX2 2015 has larger, more rugged, upgraded wheels that aren’t crazy huge, but definitely can do much more than standard wheels. I just read the new reviews on Amazon and think you should check those out. http://fave.co/1F2lvSW You can always call Joovy at 877-456-5049 to speak with a product specialist. They are absolutely wonderful there. I hope this helps. Thanks again for reading my blog. Was hoping to get your suggestions for the following requirements on a Double Side-by-Side Stroller. I have a small 5 yr old he is only about 38 pds and we have a almost 2 yr old. Want to make sure it is one that can go up to 50 lbs per child. I am looking for the narrowest double stroller. We don’t really need to go jogging with it but do want it to maneuver well. I did purchase the Baby Trend Expedition EX Double Jogging Stroller and it was pretty good, the kids like sitting by each other, they would not like the tandem style. To get into the hotel room door you really had to go just right and force it just a little bit. So really my main complaint is that it was just a little bit too wide. That one also was doing this strange hesitation on the front wheel so we took it back. I was really hoping to keep the price in the low $200 range. I have a hard time justifying those $300 – $700+ costs. I am sure they are great and maybe if I had got the stoller when my second child was first born it would have been okay to spend that much money. Hello I am a mom of a 2 year and 6 year old. I am considering purchasing a sit and stand and I am trying to decide between the Joovy Caboose Ultralight and the Joovy Caboose VaryLight. We will be traveling to Disney in the Spring and after hours of walking at the park I think the 6 year old may need a rest. He is just about 45 lbs now and the Ultralight has a maximum weight of 45lbs for the rear seat, whereas the VaryLight has max weight of 55lbs. The 2 year old is 24lbs so the total weight will still be well under the max allowed for both strollers. I prefer the Ultralight, because it is smaller and weighs less than the VaryLight, however I do like the easy access basket, swing open tray, and larger wheels that the VaryLight offers. Do you know if the total is weight is most important or if the front and rear seats require each child to be under 45lbs. Thanks very much! Ultralight is NO MORE than 45 pounds per seat. The VaryLight is NO MORE than 55 pounds per seat. Your best option Jackie would be to go with the VaryLight and have the older child sit in the back, because the minimum age for the rear seat is 2 1/2 years old. Another benefit of the VaryLight is that once your six year old is much older and no longer rides in the stroller, then you can compact the stroller and use it much like a single stroller. Anthony at Joovy is always willing to answer any questions that you may have. Tell him Faith sent you. He was very helpful with this response. Joovy has a wonderful customer service department that you can reach at 877-456-5049. I’m so glad you like my blog and value my advice. Have a wonderful time at Disney!!! 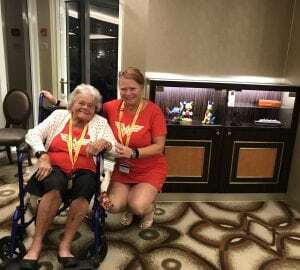 I love Disney and will be throwing a couple of #DisneySide parties a little later in the year and I’ll make sure to post them here on my site. Your advice is great and I’m hoping you can help me too. I’m due with my second in May and will have a newborn and 16/17 month old. 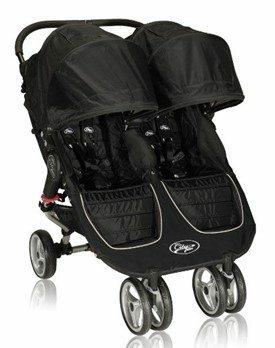 I was looking at the Contours tandem stroller but am open to anytging, I have no idea where to start with side by side and tandem. We love taking our single Bob hiking (mostly on paved or gravel trails), but also do city walking with our Britax b-agile. What do you think would be good options for us to check out? Thank you so much!!!! 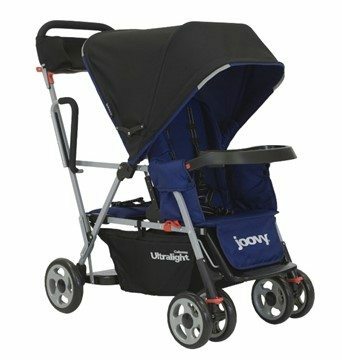 I know you didn’t really talk about either of these in your actual post, but I am trying to decide between to Joovy Ergo and the Joovy Varylight do you have any preference? I am due the very end of April and will have a 2year 9month old by then. I like the Sit n Stand option because by the time baby #2 will be out of infant seat and in the actual stroller seat my daughter will be over 3 and I’m not sure how much she will want to be strapped in a stroller. I also like these particular Sit n Stand options because the infant car seat can go in the back so I can easily get to a fussy newborn if needed. Would love any thoughts as to which one. Thanks! Hello! I am expecting another baby in March 2015 and will have a newborn and a 25 month old. I was wondering how you feel about the Joovy Caboose Too with the second seat? I currently have a Joovy groove and love it, so I’ve had my eye on the caboose too since it has the option for my older child to sit in an actual seal or use the sit-n-stand. We have a Chicco Keyfit and I’m 99% sure it is compatable. My other question is– since our kids will be so close in age, would if be better to just go with a traditional double (like a b-agile I found a great deal on)? I’m just getting overwhelmed with all of our options. I would like to stay around $400 or less but would spend more if we have to. My dream stroller is a bugaboo or a bumble ride but I just can’t justify actually spending the money on one. Especially because I’m not sure how much my see child will actually use the stroller as she gets older. I personally wouldn’t go with a traditional double, because the bottom line is that there will be some sort of jealousy in most cases and your older child will wonder why they have to sit when the baby gets to lounge. 🙂 The Joovy Caboose Too Ultralight is 20% lighter than the Caboose model, and weighs around 24 pounds with the optional “Too” seat attached. The parking brakes are linked, so if you tap the one button it will lock the wheels on both sides. My fave feature is CLEARLY the all-wheel suspension. The front seat can recline, has an adjustable footrest, and you can use from 3 months up. Both seats feature an adjustable 5-point harness system which is my favorite safety feature. I swear kids are WIGGLE WORMS. LOL Total child weight is 90lbs. (My 11 year old could technically still ride in this stroller. HAHA) Handlebars are 41.5 inches tall, so whether you are short or tall it’s easy to push. I’ve been eyeing the Caboose Too since before I got pregnant and really only started on the b-agile kick yesterday when I found the deal, so I really think I’ll take it back and just stick with the Caboose Too. Hi thanks so much for the great review! I’m confused on a few things though that I was hoping you could clarify for me. 🙂 Am I understanding you correctly that the City Mini Double is on the wider side compared to the BOB you like and the Britax-B Agile? I am looking at them all on amazon and they all look to be the same width. The City Mini is listed as 29.75 and the specific redesigned Bob model mentioned above is saying 30.6 for width on amazon which is even wider! The Britax B-Agile is listed as less than 30.5. The last one I looked at based on your review was the Bumble ride indie twin which says it’s 29.5 for width. Confused! I think I want the side by side (I’ll have a 21 month old and a newborn) but I really want something on the narrower side and as light weight as possible. Lastly I didn’t see anything mentioned about one hand steering however I think it may have been inferred when you were describing how hard it can be to pus the tandem. Are the side by sides (Twins) all one hand steering? I tried pushing a friend of mine’s tandem stroller with one hand since I was holding another kid in my hand and it was hell! I’d never want to buy a stroller I have to push with two hands when one kid is always going to be likely out of it at some point! Thanks so much! I’m so glad to hear it Jeanine. 🙂 I always tell everyone that while these are my favorites, everyone is different. Hello, I am currently pregnant and due May 2015, at which point my daughter will be 2 yrs 10 mos. We were looking at something like the Babytrend Sit N Stand or a Chicco double because our infant carseat is chicco and the Babytrend doesn’t take it. My only issue is the toddler weight limits are lower than I expected. My daughter is 95th% for weight and currently weighs 32 lbs. most of these only have a 40lb weight capacity. I noticed the Joovy Caboose Ultralight you recommend goes up to 45 lb capacity. Do you know if it accepts Chicco infant seats and is the adapter included? Our price point is $100-$200…so I’m just wondering how long a 3+ year old can use any of these sit n stands reasonably before they outgrow it and is it worth the money to buy new or should we look for a cheap alternative? Thanks! Thank you for reading my post. First of all, the Joovy customer service team is amazing at helping people decide which stroller is best. You can always call 877-456-5049. Now, for your price range, the basic Caboose is the best option. Each seat has a 45 pound capacity but the stroller overall can carry 90 pounds easily (weight can be distributed any way – even for one 90 pound child) Your issue is going to be the toddler as the rear bench seat which is for 2.5 years and above. The infant car seat adapter is ‘universal’ and will work with your Chicco seat. I wish you would look at the Caboose VaryLight because the infant could ride in the back with (extra purchase of CSA – car seat adapter) but the toddler can ride in the full size front seat….. Hope this helps. Great reviews! What would recommend for a newborn and a two year old? We are on the go at least four days a week, so functionality and storage as well as durability and safety are top priorities for us. I would need more information from you to recommend something that is more befitting of your family. What is your price point? That will help me choose. Have you tried the Valco Snap Duo? 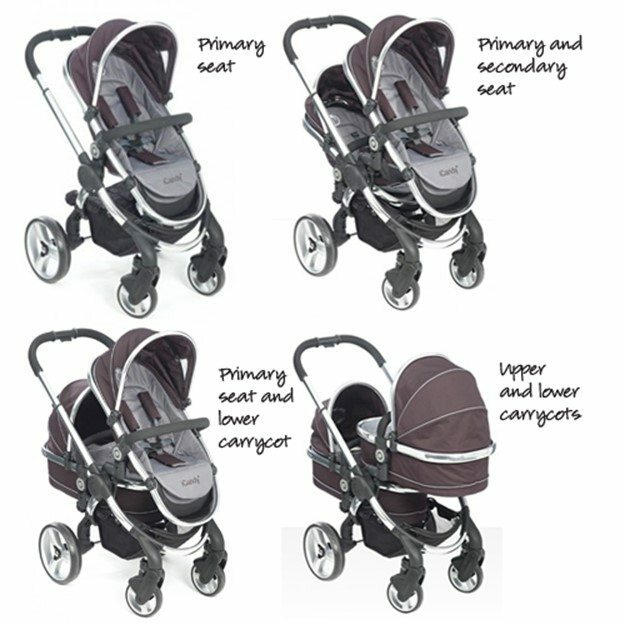 I have the Valco Snap single stroller and love it, but wondering how the double compares to any of these. Thanks! 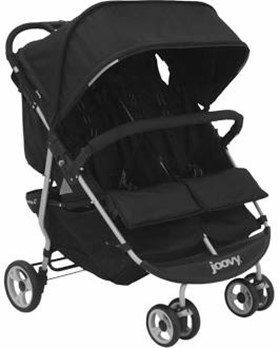 how does the joovy accommodate an infant? It is fully equipped with a universal car seat attachment system. The caboose can accommodate an infant in the car seat so you can use it as soon as your new arrival comes. It allows parents to make out too because the caboose is lightweight and folds up compactly. This also has a large basket and storage pockets for everything you’ll need to take along with you. Hope this helps. You fail to mention the Mountain Buggy Duet which is a superb and slim twin stroller. I mention my favorites. I’m not saying it’s not a superb and slim twin stroller, just not one of my favorites. 🙂 I’ve used it and I like it too. Hello, I am a mom of four and with a wide range of ages…from a 16 year old to an 11 month old! As you can expect, I have had a number of stroller throughout these 16 years! This is, however, my first time really needing a double stroller. We recently purchased a Zooper Tango stroller and have found it to be top notch! So many different options…large and easy access basket underneath, amazing shade/canopy that zips small and extends full length of the children’s seat (individually! ), lays completely flat and reverses to sit perfectly straight, removable bar, along with many other options. The customer service is above and beyond expectation as well! I wanted to get your opinion on this stroller, however! I have never heard of this brand of stroller until we happened upon it. What are your thoughts? Experiences? Thanks a bunch! My only complaint is that it’s 30″ and should fit through most doorways, but for some reason in California they must make the doorways smaller. I couldn’t get it through the church door or my post office door. Other than that it’s a phenomenal stroller. I cannot believe you did not include StrollAir My DUo??? 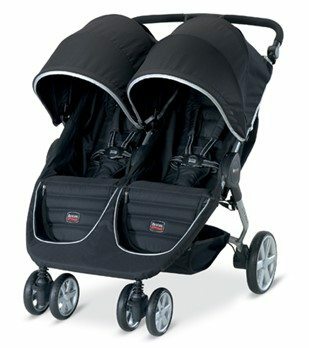 I have it for over 2 years and this is by far the BEST side by side double stroller on the market. Check it out on http://fave.co/1wTnFmz. I actually chose it over the Donkey, as Donkey is twice the weight and 3 times the size after folding, seats are smaller and they don’t recline flat… Is there a reason why you did not include it, or you just don’t know about it? Would you recommend the joovy scooter x2 for an almost 4 year old and baby?? Or Maclaren umbrella better ?? Definitely the Joovy Scooter x2. It’s not just my fave, but a celebrity fave as well. 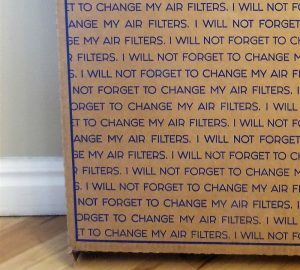 Order from Amazon and you’ll get free shipping. Also, sometimes Joovy has sales. It’s more comfortable for your kids, fits through any door, isn’t heavy and is easy to manage. Hi, great overview of some of the best double strollers on the market today. 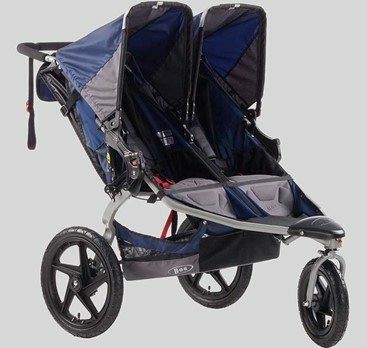 We’d also suggest a look at the Baby Jogger Summit X3 double stroller; which is an option similar to the BOB but with an easier fold. I’ll have to check that one out. It’s not one that I’ve used and therefore only commented on ones that I personally have used and loved. 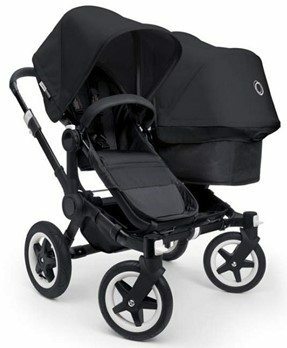 My friend has a Baby Jogger Summit X3 Double Stroller; I’m going to ask her about it.